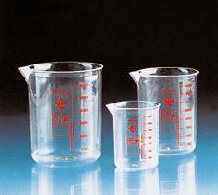 Polymethylpentane (also known as PMP or TPX) is crystal clear & autoclavable for up to 20 mins at 121°C. Can withstand temperatures up to 170°C. 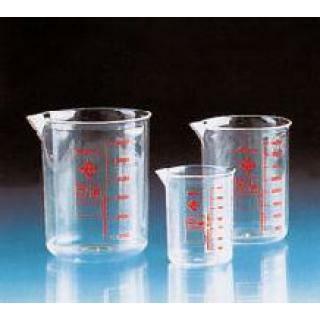 Ideal for general laboratory use as a safer alternative to glass.